Weekend Recap of all things Christmas! Guys! We have been so busy that I have about ten posts to write about things we have been up to lately! 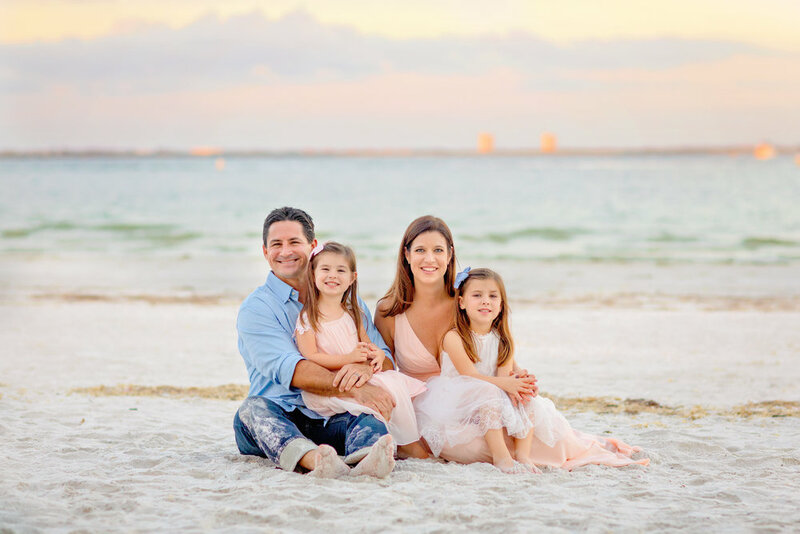 I shared my Christmas Bucket List last week and we have been having so much fun doing lots of these things with the girls. Going into this month, I was looking forward to having both girls be at a good age to understand everything and it has definitely been so much fun. Henley and Macie both understand most of the things surrounding this season. They both are having a blast participating and have patience to sit through most of things. It's really been great. 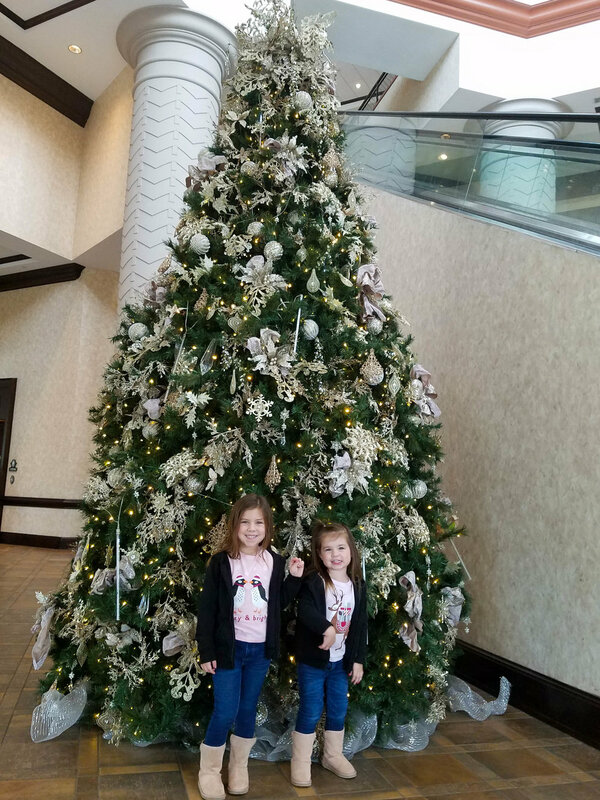 This past weekend we headed to Orlando to see the Gaylord Palm ICE Exhibit, do a little indoor tubing, visit Disney, and ride the Polar Express. The trip was cold (so cold) and jammed pack with fun. We started the weekend by driving straight up to the Gaylord Palms Resort on Friday. The exhibit, Christmas Around the World, was full of giant colored ice sculpture. Inside of the exhibit, it was 9 degrees. I'm not going to lie, I have very few pictures while inside because it was FREEZING and I had little desire to take my hand out of my pockets as we walked around. We were dressed for cold weather plus they gave us parkas but honestly, it was unbearably cold, I don't know how you guys up north do it. We would go inside for a bit and then have to come out and defrost before heading back in. The actual ice was phenomenal. The level of detail on the ice itself was amazing. The walls were ice. There was an ice slide. It was pretty cool. Just outside of the exhibit was indoor tubing which was Henley's favorite. I can't even remember how many times she ended up going down the slide. When we visited my husband's family in Virginia this past winter, we did tubing at a nearby mountain and she loved it there too. She has a streak of adrenaline within her for sure! Saturday we headed to Magic Kingdom and Epcot at Disney. Temps were in the low 50's and it was drizzly most of the day. We were freezing! We even had to buy the girls blankets halfway through the day. We still had fun in spite of the weather. We rode a few rides, met some princesses, and enjoyed eating around the world at Epcot. Sunday morning we decided to try the Crayola Experience at the Florida Mall. We had heard good things and it did not disappoint! We ended up with Annual Passes since they were not much more than a one day pass. We made our own crayons and even got to name them, made melted crayon drip art, painted with melted crayons, played with magic molding clay, and so much more. I'm so glad we found this place. It wasn't far from where we usually stay and it will be a nice thing to do between Disney, especially in the hot summer months. Lastly, we headed just an hour outside of Orlando to ride on the Polar Express. It was adorable and the girls loved it. I have a pretty blurry picture of Henley when Santa came on-board and the pure joy in her face is seriously the cutest! The crew sang and danced, served hot chocolate, and the girls got a bell from Santa. We are still recovering from the late drive back after the Polar Express. Laundry still isn't completely done and the house just finally got clean tonight. We will have to catch up on sleep this weekend for sure but it was worth it. There is something so special and magical about seeing Christmas through the eyes of a child.